If you don’t already have your Big Brother live feeds turned on and ready to go, what are you waiting for?! Start your free trial and watch the houseguests 24/7! 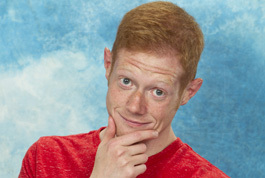 If you’re only watching the TV episodes, you’re missing half of the Big Brother experience! Test-drive the Big Brother 17 live feeds and see all the crazy antics from the house that they can’t show you on TV! Join thousands of other Big Brother fans by keeping up-to-date with all the house happenings with the live feeds. You can try it all with a 7-day free trial. CBS has combined their CBS All Access on-demand service with the live feeds. Not only can you watch every episode from every past season of Big Brother — you gain access to CBS’s entire catalog of shows, as well as to the live feeds! Don’t fret because after your free trial ends, the live feeds cost a low monthly price of just $5.99! That gives you a 25% discount compared to last year’s live feed price. 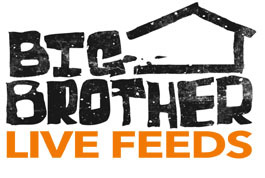 It’s not truly Big Brother without the live feeds — You can sign up here at WeLoveBigBrother.com. Keep watching your 24/7 live feeds (start your free trial) and follow @wlbb on Twitter for breaking Big Brother news.